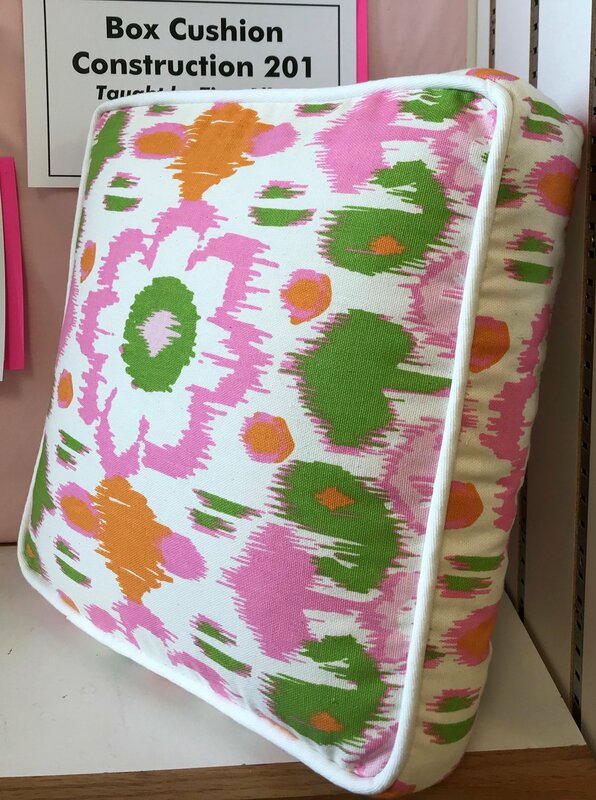 Make a colorful new box cushion for a bench or chair. Learn how to make welt cording and a sewn-in zipper closure in this hands-on class. Some homework required. Prerequisite: Sewing 101 or equivalent sewing experience.